Another fabulous knit dress pattern from DG Patterns. This dolman style dress has a loose-fit top and tapered skirt. The dress sits just below knee and has a V-neckline thats not too low. 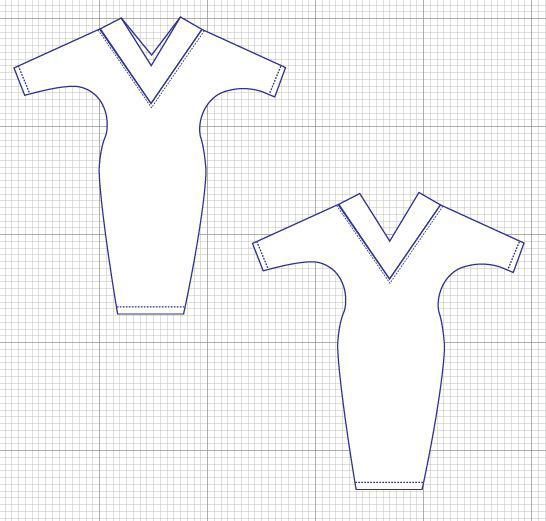 The PDF sewing pattern also has two sleeve lengths – 3/4 and long sleeves. The pattern is perfect for light to medium weight knit fabrics such as jersey knit, double knit, Hatchi knit and cardigan style, as well as the popular Ponte Roma and other blends.